Instagram, the home of visual storytelling, is a powerful platform that serves over 800 million people who capture and share the world’s moments on a daily basis. It’s amazing to think this platform has only been in existence since October 2010. Within its first 2 months of release Instagram had one million registered users and within the year it had 10 million! It’s no wonder that Facebook reportedly spent a quarter of it’s available cash on hand – $1 Billion – to buy this company out in 2012. 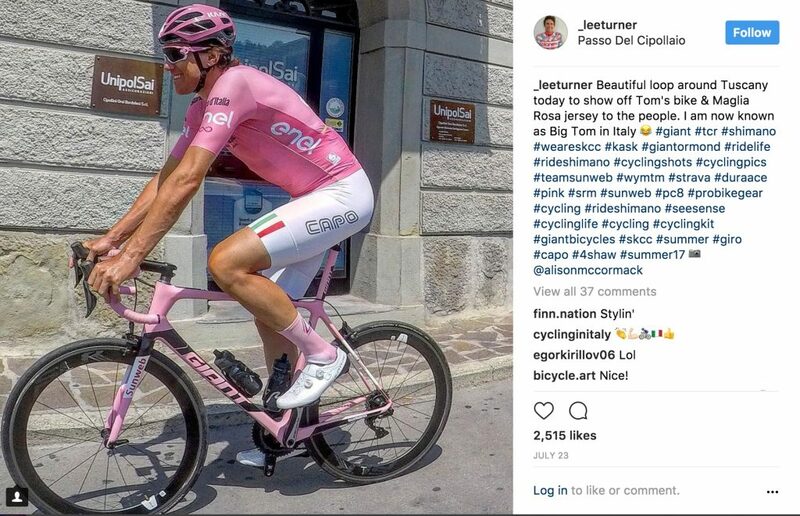 In the world of cycling, Instagram has proven to be a powerful tool for the common person and/or organisation to share inspirational moments or stories. 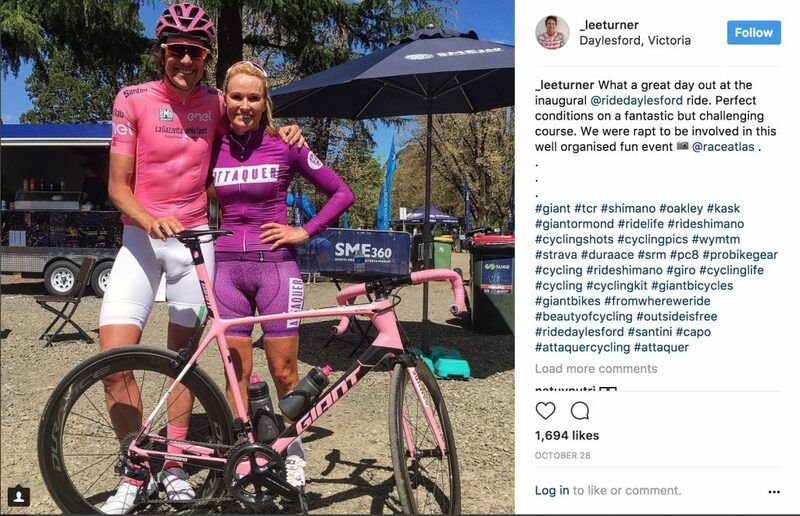 Many of us love searching for that perfectly taken picture at the fondo event or race we’ve just completed; pulling it off the web, onto our phones, and directly uploaded to Instagram to share that moment or story with our connections. While some people may have little interest in building a big audience I am sure we all want to know how we can better engage the audience we have – whether that be friends, family, or some random that has decided to follow your account! I would question why anyone would post a picture, if this wasn’t the case. 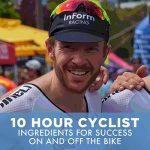 So in order to get some insight on the topic of engaging your Instagram audience we’re speaking with Lee ‘Hollywood’ Turner about his Instagram account and the mechanisms he puts in place to get high levels of engagement. In the world of Instagram fame, Lee’s 15.9K followers isn’t massive, but it’s the volume of likes and comments he receives that makes his account unique. 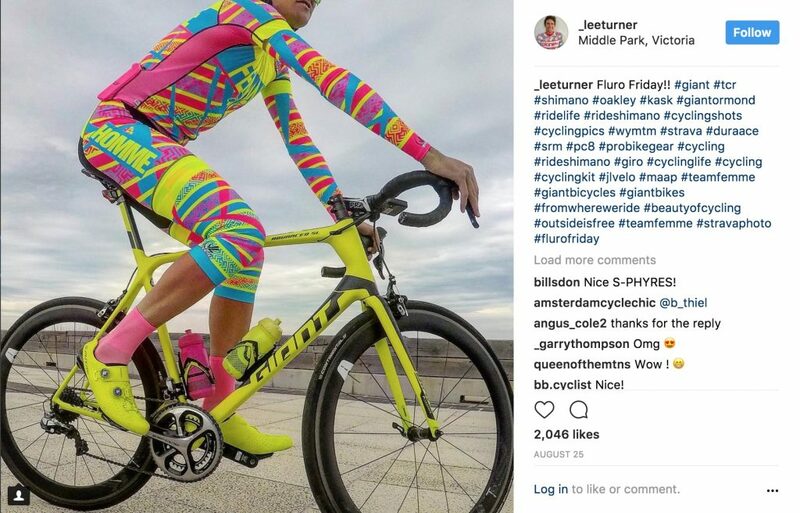 An example of the ‘light and bright’ colours that engage an Instagram audience. Notice the background is quite plain. Lee is not on Facebook, there’s too much rubbish on it. Instagram was an immediate go-to because of its orientation towards pictures. Because Lee likes to play dress ups every day, once he left a Melbourne local team called ‘Stay True’ he had total freedom to wear what he liked, lifting the engaging pictures he could share on Instgram. Being consistent with the theme is key. 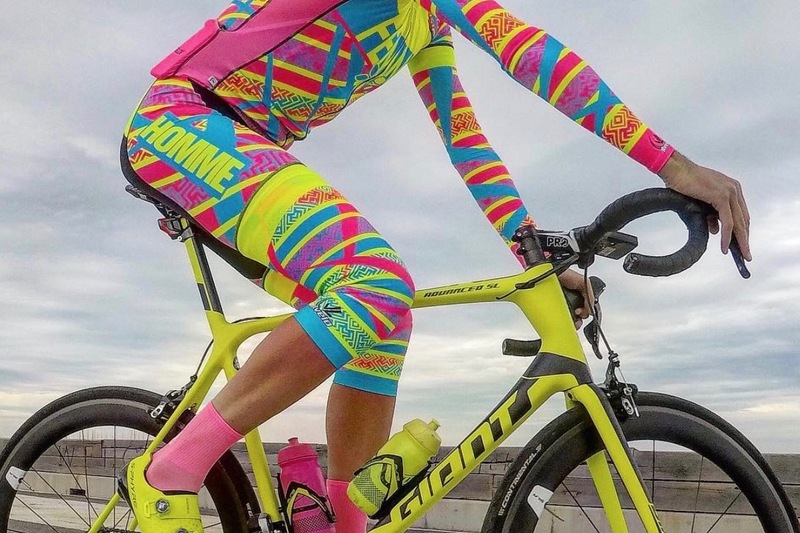 Lee’s theme is colourful kits. Posting once every couple of days is also an important factor i.e. staying relevant. Lee has a lot of good friends who help take photos for him. Bright colours and lighting are another key factor to engaging your audience. Lee says anything fluorescent rates well. We think this might have been the post Lee mentions in the podcast. Having an engaged audience can sometimes lead to interesting private messages! You have to engage with other people you follow, including comments and likes on their posts. It’s not all about you, in other words. Don’t be fraudulent in terms of buying account followers and likes. Getting stuff through brands etc based on fraudulent users is a big no no. Lee talks about Instragram providing him an ability to have discussions with people he would normally never get the chance to talk to – i.e. rappers that he loved from back in the heyday. I can’t repeat their names as they’re very complex to spell out! The BP service station in Frankston, Victoria has a white wall where some of Lee’s best work has been done. Don’t overcomplicate it, plain backgrounds are great! Consistently, follow the theme, bright and light pictures, engage with others and don’t be a cheat. That’s the key to a engaging Instagram account. Bright colours and light pictures!